Feature: Membership Initiation Fees can now be Edited. Benefit: Instead of re-creating an entire Membership to fix an Initiation Fee, Fees can now be edited. 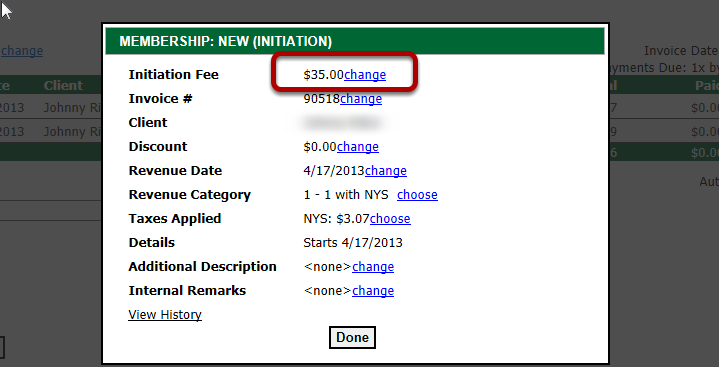 Scenario: When an Initiation Fee needs to be Edited, price change can occur when Editing the Billing Item for the Fee. 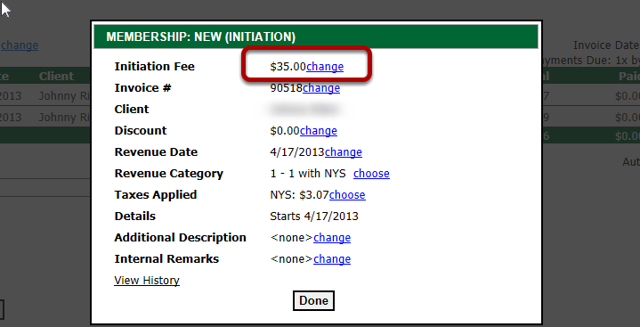 Using the 'Change' link, you can now change your Initiation Price.